God never ceases to amaze me. I am in awe of how He continues to bless me with special, everyday moments as well as learning opportunities to make me more like Christ. Writing about my deepest fears has been a bit intimidating at times. Nevertheless, I am passionate about sharing my story to encourage others. God certainly created that desire within me. After going through a horrible pit and coming out with Him, I knew God wanted to use me. I am honored and humbled to share my journey with you. Years of writing and journaling for fun led Jenne to pursue writing for children. 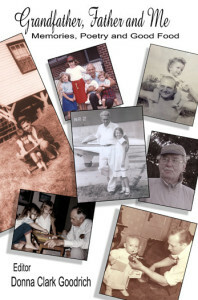 Life experiences and God’s calling prompted her to write for adults. She shares her journey to encourage others to find their worth in Christ and place their hope in Him alone. Her favorite topics include being a godly wife and mom, sharing true friendship, understanding and living with anxiety as a believer, finding balance amidst the chaos of life, having joy in every season, and living in peace that only comes from Jesus. Jenne has been writing intentionally for more than ten years. Articles and devotions have been published by Group Publishing, MOPS International, and more. Her freelance writing includes articles written for Adam Colwell’s WriteWorks and for mega-church Cornerstone Christian Fellowship about the personal struggles and triumphs of their members. Individual writing is available on contract. Please contact Jenne for more information. Click the following online articles or books for examples of Jenne’s writing. 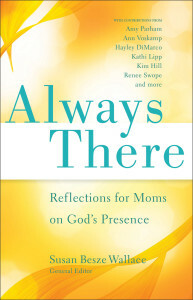 Jenne has spoken at women’s ministry events, local mom’s groups, and writer’s groups. Topics include finding hope in Christ, entertaining and hospitality, personal and professional organization, busyness and stress, overcoming anxiety, and editing. "Jenne translates the words of the Bible into a down to earth, comfortable environment for not only the new believers but those looking to reignite their fire for the Lord." "Jenne does an excellent job, right off the bat, of capturing the audience or reader's attention. She is clear and informative while also being personable in her stories and examples." For more information, including a list of topics and descriptions, contact Jenne.